Gasworld: Perhaps you could start by giving us a brief history of CEFRANK, its inception and the journey to the company that it is today? CEFRANK: My father started out as a fitter and turner, as a new immigrant to Australia, and eventually became more of a contractor and trouble-shooter. When something went wrong, people would say “see Frank” because he had a good reputation in the industry for solving problems. That’s how the name of our company CEFRANK came about. CEFRANK opened in 1979 and started out as a simple contracting firm, doing maintenance and working on special projects. But Dad could see that there was a gap in the market for cylinder equipment. He began offering gas companies like BOC and Linde an alternative to their in-house equipment and eventually set his sights on developing his own brand of cylinder equipment. To stay competitive and service our expanding business and global demand, we opened a factory in Changzhou, China in 1996 which still manufactures for us today. We also established a site in 1998 in Croatia that we could use for storage and R&D. Today, the business is still run by the family but instead of operating out of Sydney, Australia we have our HQ in West Wycombe, UK. Gasworld: You’ve expressed a lot of admiration for your father’s efforts in establishing CEFRANK and continuing to innovate through the years. What is it that you admire most, and what do you think differentiates CEFRANK from many other companies in the industry? CEFRANK: I have the utmost respect and admiration for what my father has achieved. Single-handedly and with many obstacles, he has built and maintained a business that has and continues to support our family. I grew up witnessing what it takes to run a business; the hardships, the risk and the triumphs. But what I really admire the most is the way that Dad built his company by doing something no one had done before. He was offering a service that was typically done in-house, and then he developed a universal range of equipment that was intended for use across the industry. A superior range, that would cost less to maintain, less to ship, less to repair. But, as with most things that are different, the idea has been met with a lot of resistance. It’s Dad’s tenacity and belief in himself, his vision and his product that continues to amaze me. Einstein said that “if we always do what we’ve always done, we’ll always get what we’ve always got.” Always striving to improve our approach to our product and business operations is what differentiates us from most companies, along with our specialist knowledge of compressed gas cylinder equipment. Gasworld: You have previously hinted at CEFRANK’s core belief in challenging compressed gas conventions and treating packaged gases as more than just a mode of supply. Perhaps you could share with us some examples of CEFRANK’s innovations in this field? CEFRANK: I think it’s safe to say that we’ve challenged convention from time to time. Because we filled a very niche gap in the industry, we were able to devote ourselves entirely to an area of packaged gas equipment that had, I suppose, fallen off the radar. Most gas companies just react to demand, with, understandably, a priority of simply getting their product out there. But we had and still have the unique opportunity of looking at the equipment and asking how can we improve it? How we can better protect the customer’s assets? We’ve spent years refining our products and designs and I still think that the full benefit and impact of our range is yet to hit home. One of our earlier innovations was the development of a modular bundle and pallet frame. The entire frame is bolted together, which means that they can be assembled, repaired and maintained with much less down time, effort and cost. You don’t need welders and special equipment and days for our equipment; you need two guys, a couple of bits of kit and a few hours. Our more recent innovations are related to the manifold. We’ve developed a number of innovations for our acetylene manifold which improve its durability and usability in the field, we’ve designed an upgrade for our standard DC manifold that means that customers can carry out repairs onsite, significantly reducing down time. But our most exciting innovation is the new DC-H2 manifold, which has a unique floating design that can be used for all gases, even flammable gases. This manifold is the first of its kind and our vision is that will become a universal piece of equipment. Gasworld: What’s different about CEFRANK’s cylinder bundles and products? CEFRANK: One of the key features of our range is the lightweight construction. This might seem like an insignificant feature, but think about the long-term impact of equipment that weighs almost half of the existing models. Collectively, you get a huge reduction of the impact not only in the manufacturing process, but throughout the lifecycle of the bundle; less wear and tear, less fuel and obviously, less impact on the environment. In markets like China where quantities are huge, this makes a big difference. But of course the main point of difference is our modular design. This has the potential to save our customers up to 80% on the cost of repairs and maintenance for the life of the equipment. And with our new range of modular manifolds, we can offer greater flexibility than ever before, better protection of capital investment (cylinders, gas) and a more durable product. At CEFRANK we approach our design process with one major aim in mind, and that is protection. Protection in terms of safety to users, but also protection of customer assets. Our bundles house a number of high-value assets including cylinders and the actual gas. 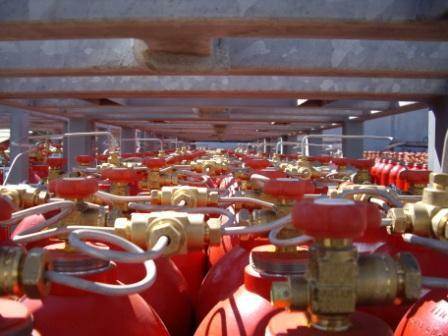 There are several features in our design that work to protect various elements of the cylinders and the sometimes very expensive gas contained within. During regulatory hydrostatic testing, the cylinder thread can often become damaged when using blocks or valves with threads made from hard metals like stainless steel. Our forged brass t-block components bear the brunt of wear and tear and are easily removed from the cylinder during testing. Exclusive use of male nuts, which are much less vulnerable to damage throughout the life of the bundle increases durability. No external welds means the manifold is far more resistant to damage and drastically minimises leaks. Unlike the traditional single-piece manifold, our DC range allows for fast and cost-effective repair and replacement. Simply remove the damaged pigtail or component and replace it with a new one. It’s all too easy to dismiss the impact that industry and transport has on the world. However, many businesses, like ours, are finding ways to reduce our share of this impact. By minimising the bulk that is being moved about and shipped and driven and flown all over the world, companies like CEFRANK are enjoying the bounties of smart design and manufacturing practices. And it’s not only the producer who benefits, it’s the customer and the environment. Part of CEFRANK’s design ethos is to strive for simplicity. We reduce and refine when it improves on existing technology and when it means we can make our product with less materials, less weight and less bulk. Sure, this means it costs us less to produce, but it also means less volume is produced. Less volume means less space required in the container or on the truck and it means less weight on the road which equals lower costs – both to the customer and to the environment. Einstein said that “if we always do what we’ve always done, we’ll always get what we’ve always got”. This is a painful truism when it comes to engineering and industry. 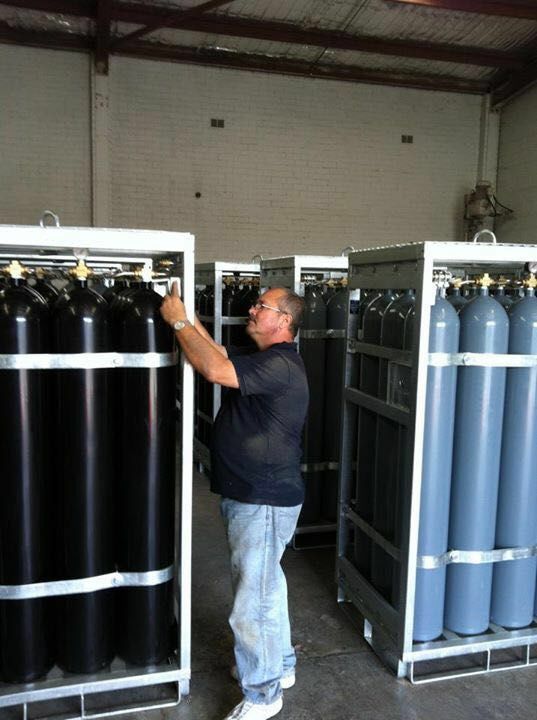 The equipment used for compressed gases remains to this day over-engineered, over-weight and over-bearing. People are afraid to embrace the changes that companies like CEFRANK make. While this is partly forgivable when you consider that most of the time, compressed gas equipment is the result of in-house departments reactive engineering, it also means that the equipment that has proliferated and continues to populate the field is not the best it can be. CEFRANK is different because we aren’t afraid to challenge the status quo. We aren’t afraid because our equipment is the result of intense research, innovative thinking and proactive engineering. Our cylinder bundles and pallets are designed with the confidence that we are improving on the existing conventions. By designing and manufacturing equipment that is lighter than the standard, accepted models, we are effectively reducing our impact and our customer’s impact on the environment. CEFRANK bundles are up to 50% lighter than other brands in the field. Our flat-pack modular frames ship makes our bundles and pallets up to 80% cheaper to ship to our customer. 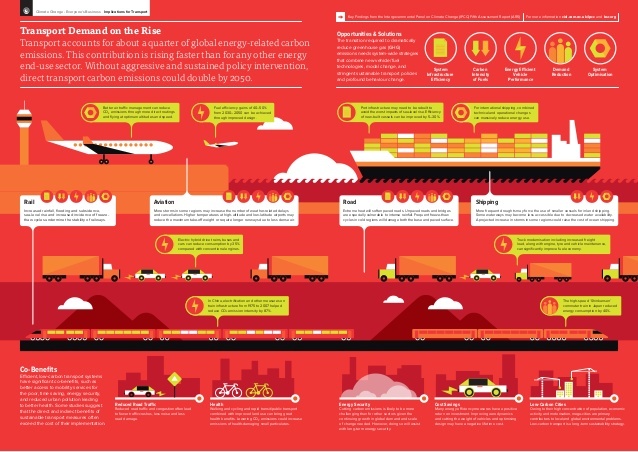 Let that information sink in as you watch the numbers in the global transport graphic ticking away. The best part about seeking out alternatives and changing our attitudes towards the way things have always been done, is that the results not only benefit business bottom lines, they benefit everyone. In 2007 Australian-Croatian sculptor and member of the The Sculptor’s Society Marijan Bekic was commissioned to create a sculpture for the small south Australian farming town of Wudinna. Originally proposed back in 1992, the sculpture was intended to be a community memorial to the early settlers of the region. The project was sponsored and financed by the local community. However, due to the drought and the subsequent cut-backs to arts funding, the project was delayed several times before it finally, and sadly got cancelled. Thanks to a small group of locals however, the project was started up again, but yet again, because of the drought, the future of the project was jeopardised. 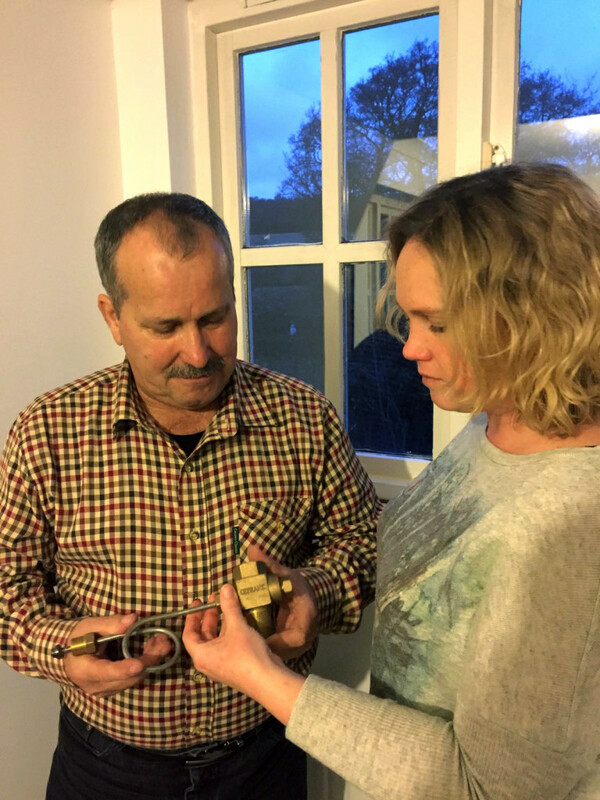 At this point Marijan enlisted the help of the Croatian community and was shocked at the level of support he received, eventually raising $20,000 towards the project. 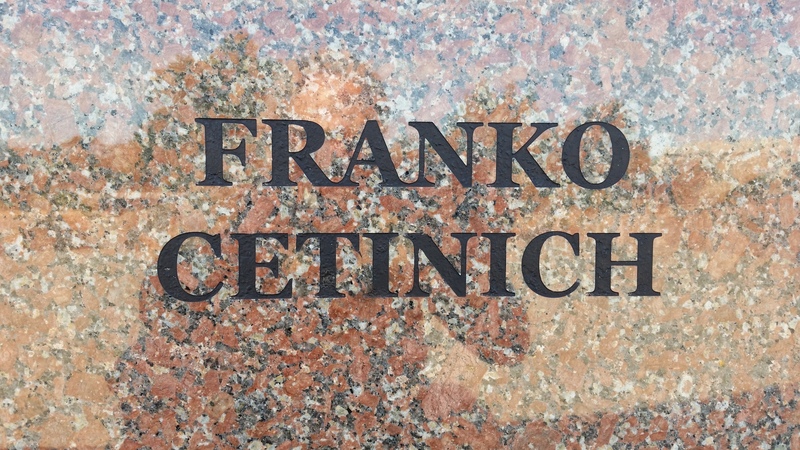 Frank Cetinich, director of CEFRANK UK Ltd is proud to be one of those contributors. Thanks to his and many others’ generous donations and after two years of hard work, The Australian Farmer sculpture was finally realised. To honour the generosity of the many private citizens who invested in this project, Marijan constructed a granite wall around the sculpture that contains the names of the people who contributed. 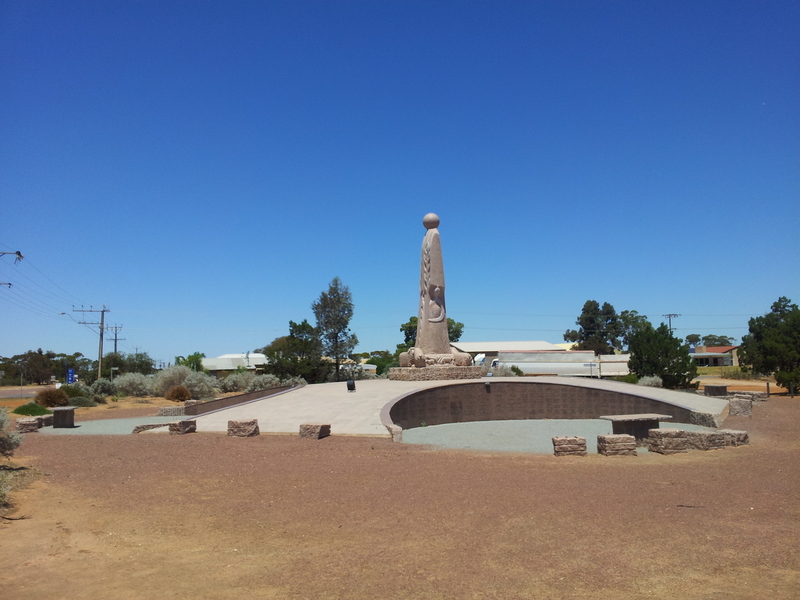 The Australian Farmer (also known as the Big Farmer) is a statue located in Wudinna, South Australia. Regarded as one of Australia’s Big Things, the granite sculpture stands at 8 metres (26 ft) in height, and weighs in the vicinity of 70 tonnes. It took 17 years to produce from initial proposal to the final unveiling in 2009, and two years for the artist, Marijan Bekic (with the assistance of his son, David), to carve. 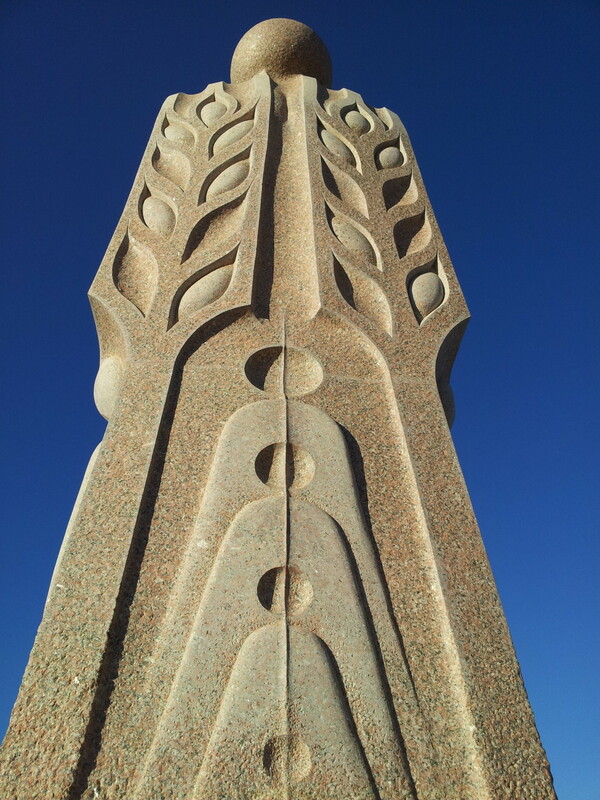 The stylised work of a farmer represents the early settlers of the region, with carvings symbolising grain and sheep found within the sculpture. While it takes a basic human form, the top represents the sun, while in the body are carved grain crops. Sheep are placed at the foot of the statue, representing the sheep farmers in the district as well as creating the feet of the figure when viewed from a distance. Environmental accountability is becoming an essential facet of every business. Huge corporations in every industry and across every trade are trying to find ways to reduce waste, reduce carbon footprint, reduce paper usage, reduce water usage, reduce handling, reduce environmental impact and the list goes on.CEFRANK is no different, we are also constantly trying to reduce our own carbon footprint. The International Organisation for Standardisation even joined the party back in 1996 by introducing the ISO 14000 series. This new, voluntary standard was designed to help companies develop and comply with environmental management systems and later other standards and guidelines that would address specific environmental aspects, including: labeling, performance evaluation, life cycle analysis, communication and auditing. Not only has environmental awareness and eco-friendly business practice become good for the planet, it has become good for business. Many companies market their product and brand on the premise that they are eco-friendly. However, many business also choose not to broadcast this side of their business. For example, many companies have recycling programmes where consumers can return goods at the end of the product’s life, or systems where superseded products and ranges are being recycled or upcycled to form new products. This sort of practice is used by manufacturers of anything from shoes to mobile phones to photo copiers and of course down to valuable raw materials. A new economy is forming in the face of environmental accountability. This is of course great news. The fact that business can benefit is a valuable byproduct of general environmental philosophy, and of course a necessary one. It’s a win win for business and consumer and the planet.We are fortunate that we’re able to boast that our range is in fact very eco-friendly. Almost 100% recyclable, our bolted gas equipment range of manifolded cylinder packs and cylinder pallets are made up of galvanized steel, brass and stainless steel. The very generous 1% we allow for non-recyclables, accounts for any incidental plastics or synthetics that might be used in components (like locknuts or ratchet belts for example). 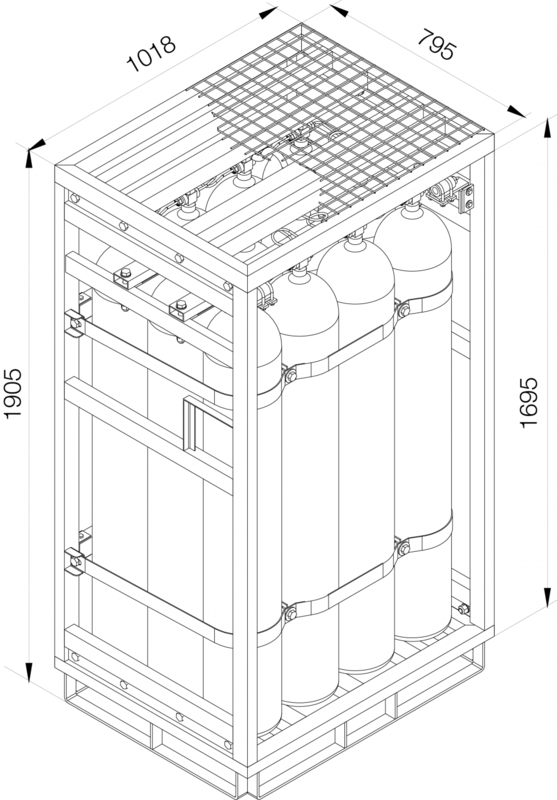 Traditional welded,12 cylinder Manifolded Cylinder Packs will fit 14 units per 20-foot container. 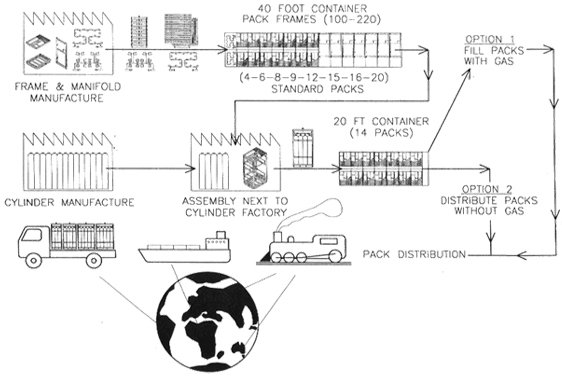 CEFRANK’s bolted,12 cylinder Manifolded Cylinder Packs will fit 60 units per 20-foot container. What’s more, we encourage our customers to assemble the product on their premises or the premises of the cylinder supplier or end user to reduce the amount of handling, as seen in this diagram. While the environmental benefits are a wonderful aspect of CEFRANK gas equipment, and our product life-cycle has little impact, it is not our main selling point. That particular honour goes to the simplicity and strength of design, which can be explored a little more closely on our website. Reducing carbon footprint is something everyone should be interested in industrially, commercially and personally. To find out how your business or lifestyle, product or range measures up, why not visit one of many free online life cycle calculators. Here’s a good one, LCA Calculator . CEFRANK measured up nicely, and the LCA calculator revealed the biggest area of impact for us was the transport. We’re doing everything we can to reduce the cost of transporting our product. This task, as with many environmental endeavours, not only benefits the environment, it also means big savings for our clients.